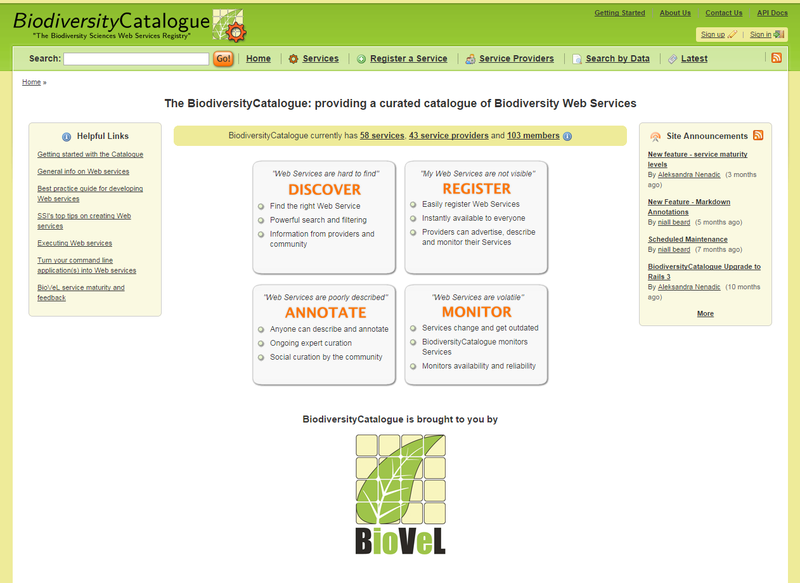 The BiodiversityCatalogue is a curated catalogue of workflows and web services that are specific to the interests of the biodiversity scientists community. This catalogue is related to and uses the same software as the BioCatalogue, which is a public, centralized, curated and monitored registry of life science web services that can be used for building workflows. Both catalogues are community-oriented web sites where service providers and community experts can register and curate services, and where users can discover them. Users can browse the catalogues and access their full search options for services, checking their status and availability.